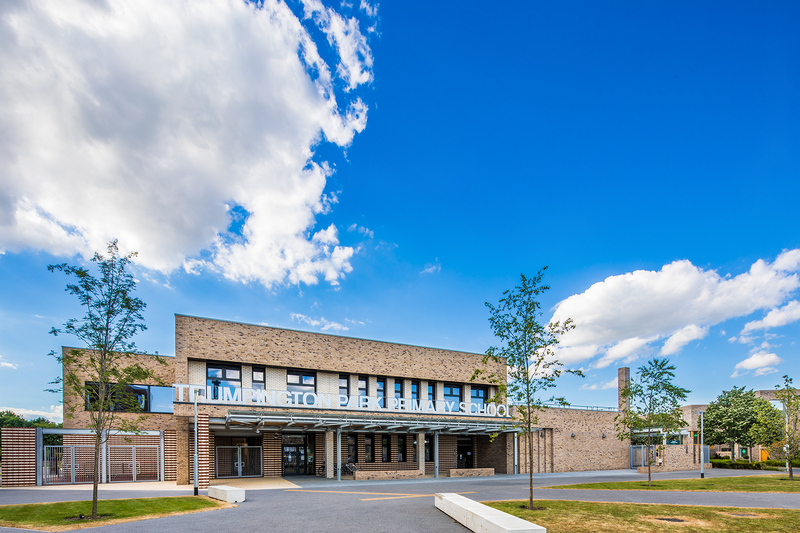 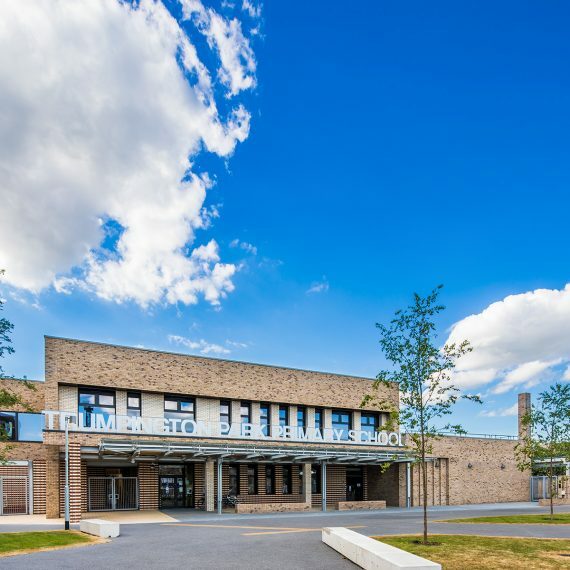 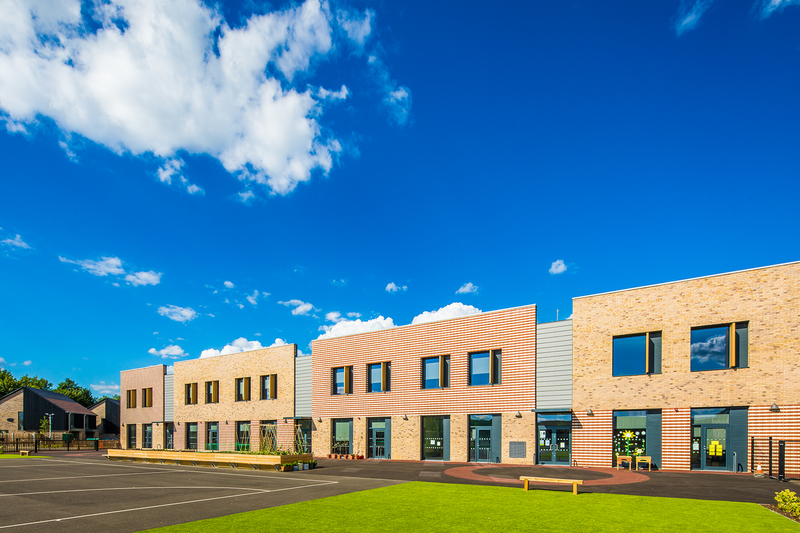 Frank Shaw Associates’ latest Primary School project is a contemporary landmark building located within the heart of a distinctive new urban development situated on Cambridge’s southern fringe. 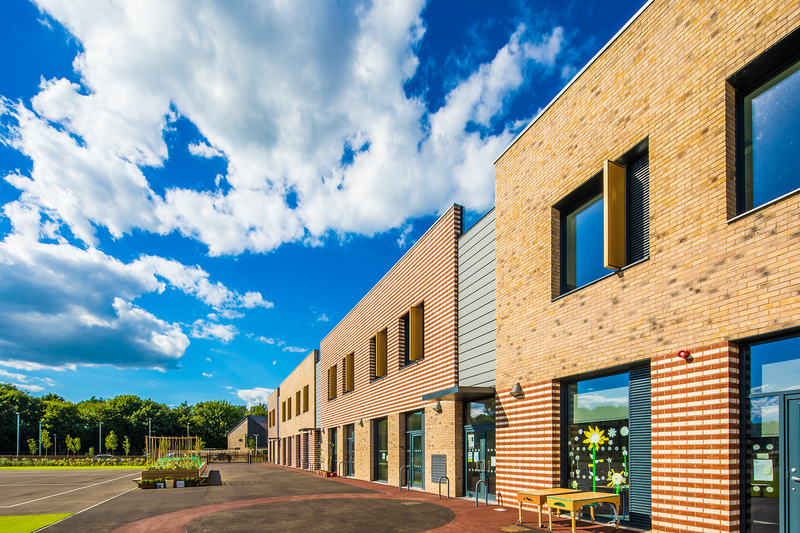 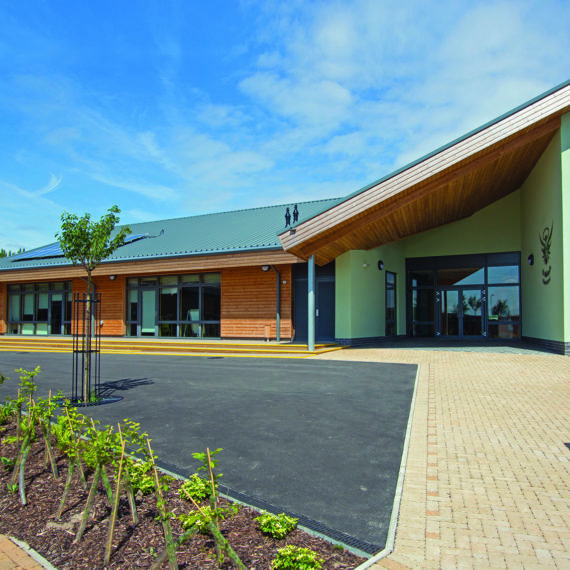 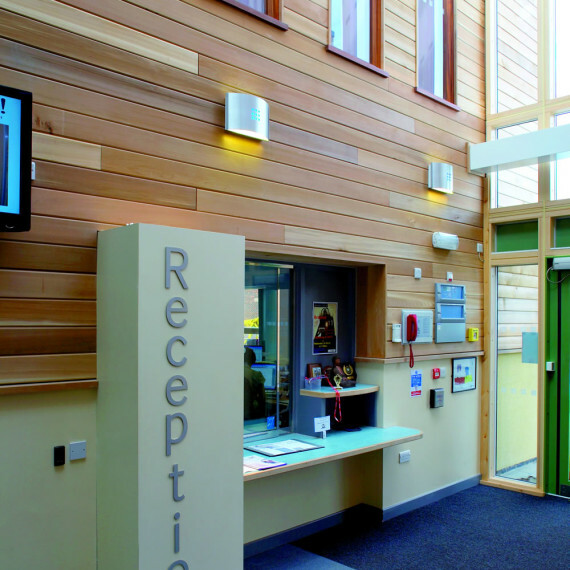 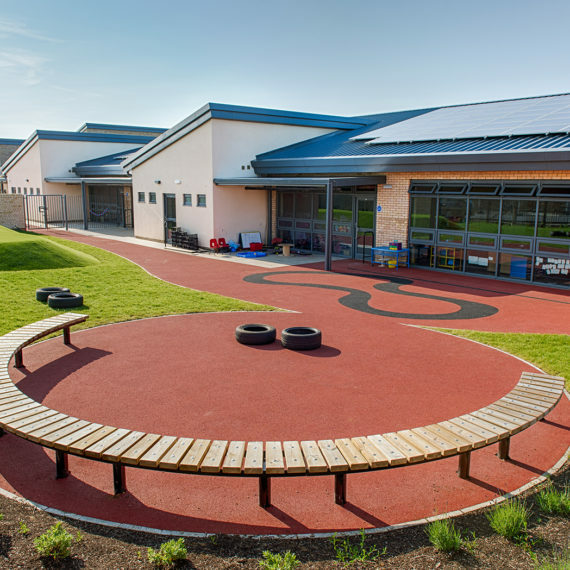 The new School provides an inspirational learning environment for 630 pupils, and 52 places in a co-located Nursery. 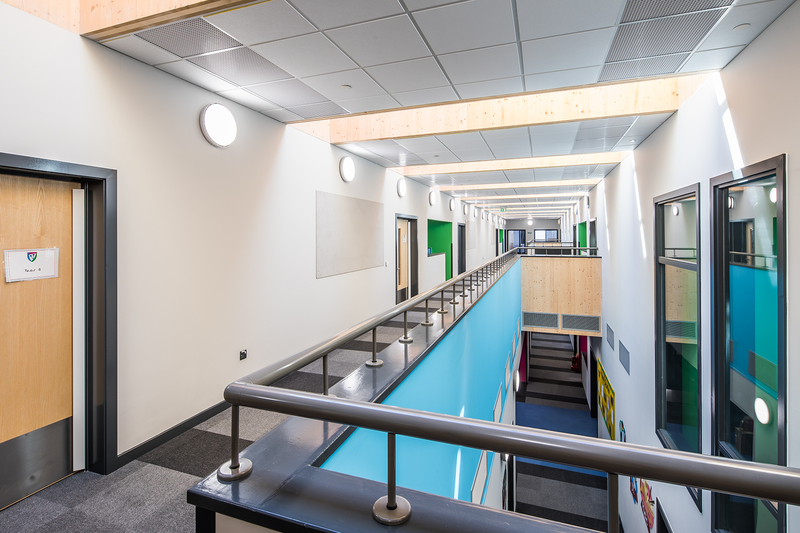 The clustered key stage classrooms are arranged around a central Hall which can be opened onto a galleried double-height ICT and Library resource centre forming the large, flexible heart of the School. 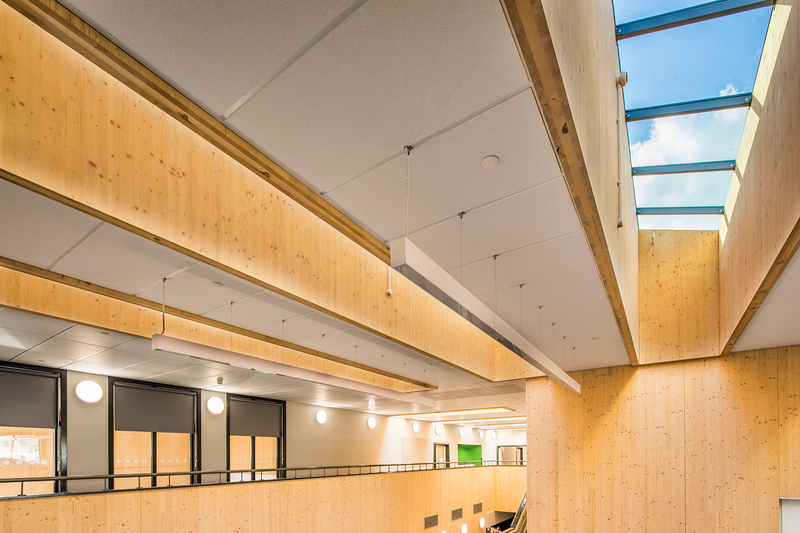 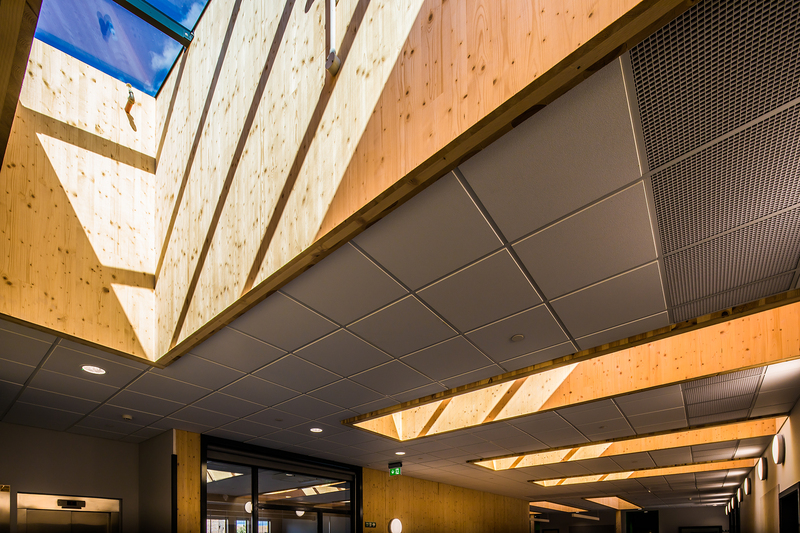 The building’s structure is made of Cross Laminated Timber enabling fast track construction, with good thermal properties, low air leakage and a natural aesthetic where it is left exposed in the heart space. 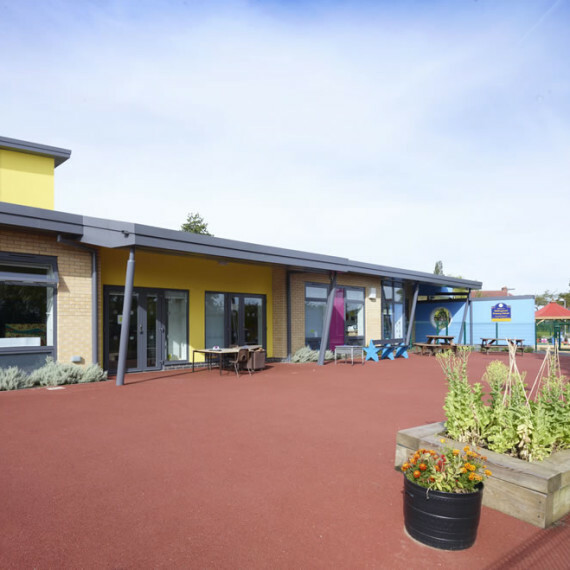 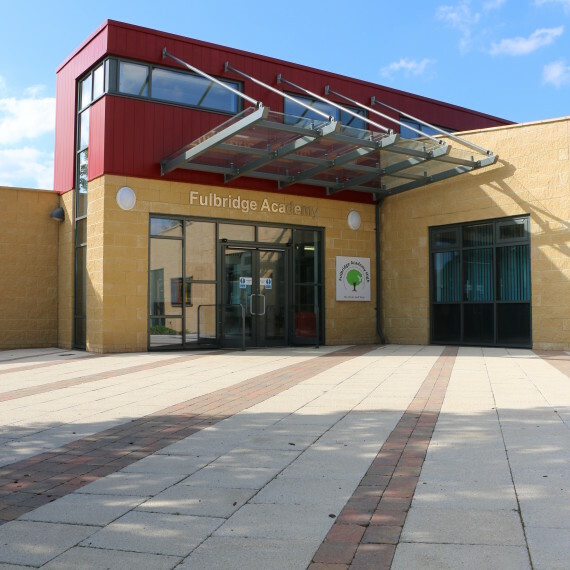 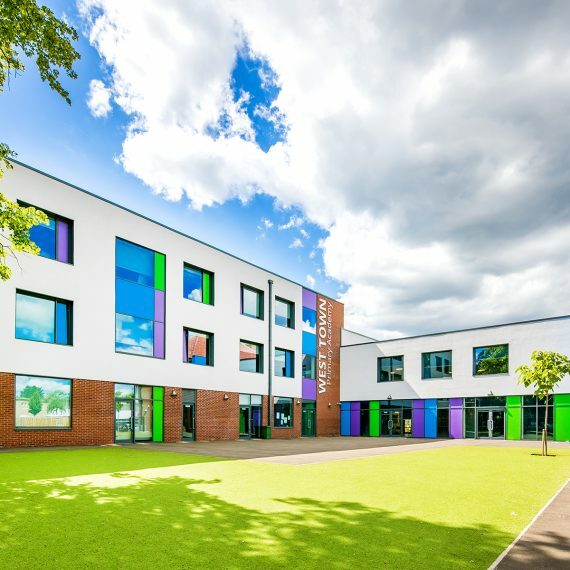 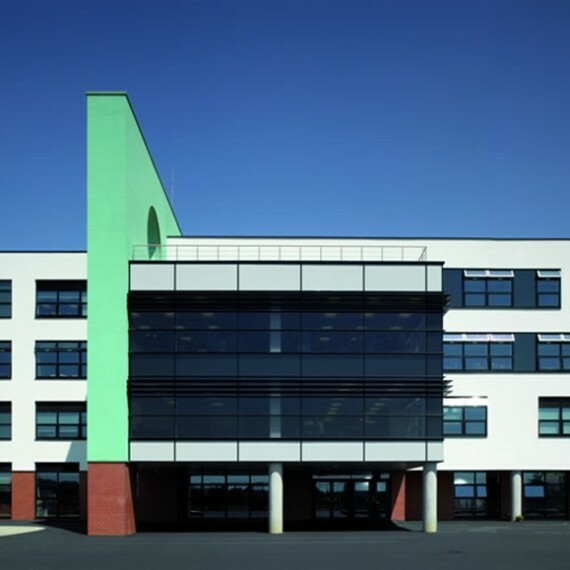 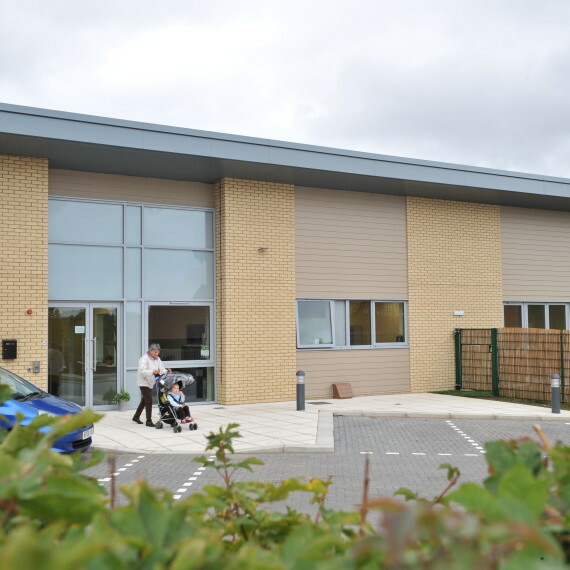 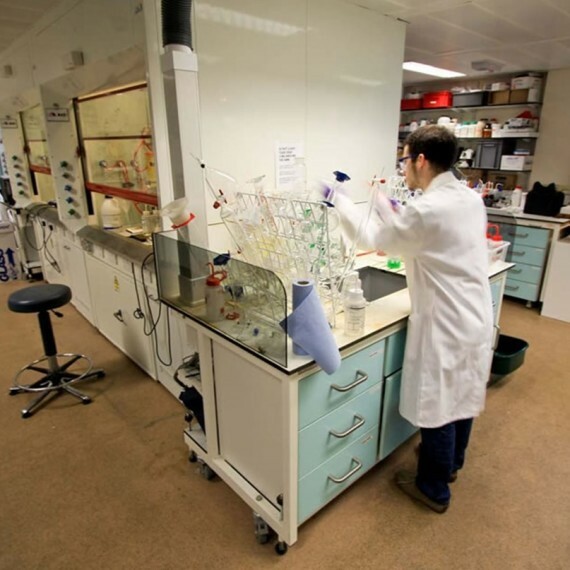 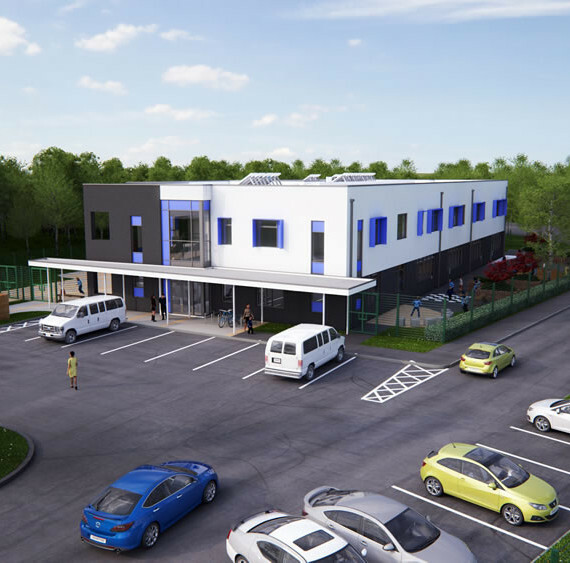 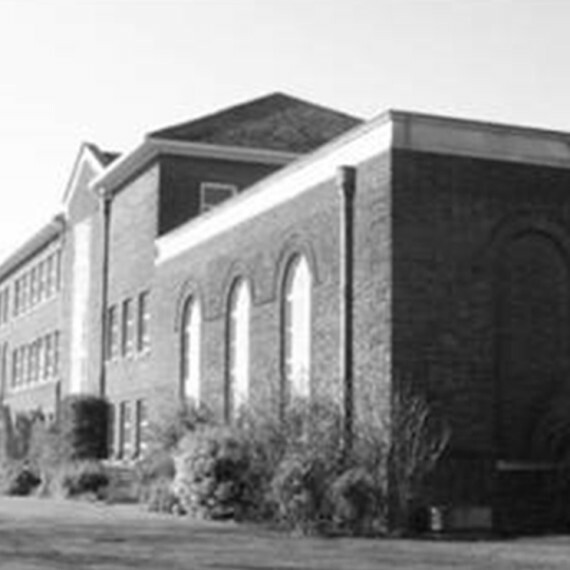 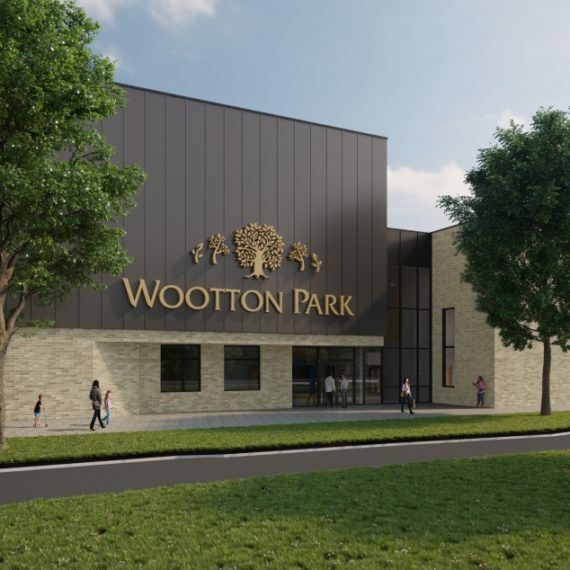 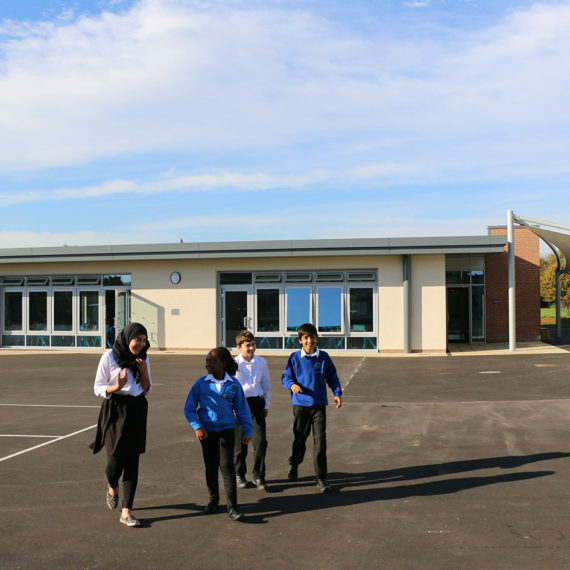 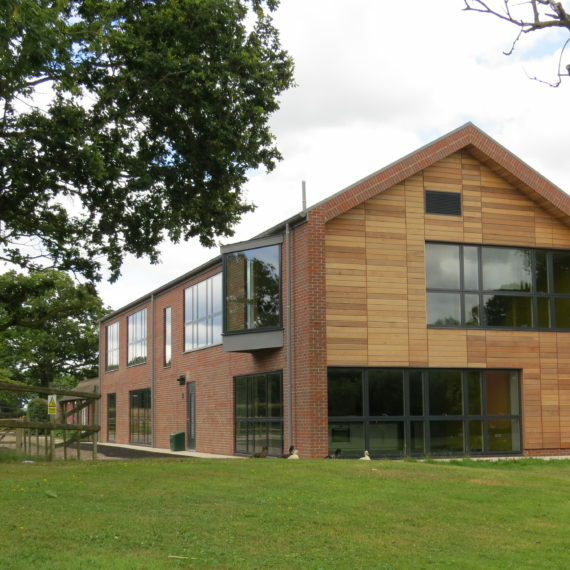 The school has been developed in close consultation with the School sponsor, Cambridge Primary Education Trust and Cambridgeshire County Council. 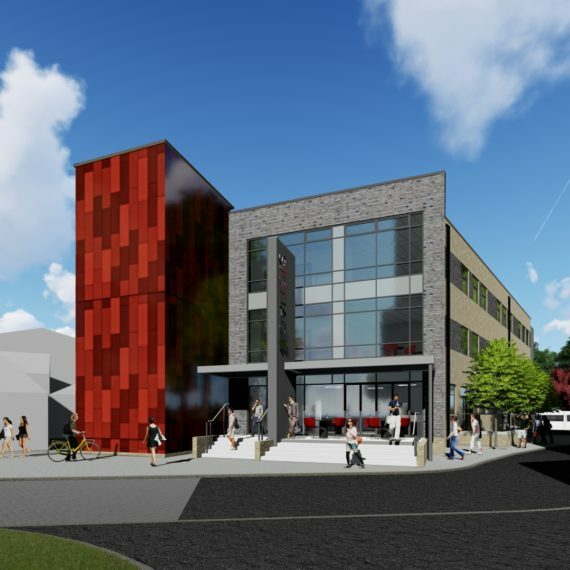 The design has been tailored to suit the Trust’s educational vision as well as allowing for future flexibility, promoting a sense of inclusion, and positively contributing to the surrounding neighborhood. 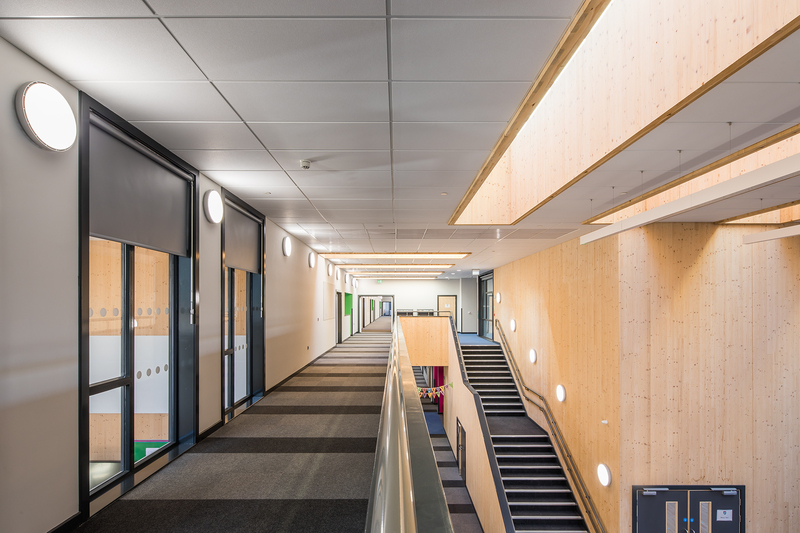 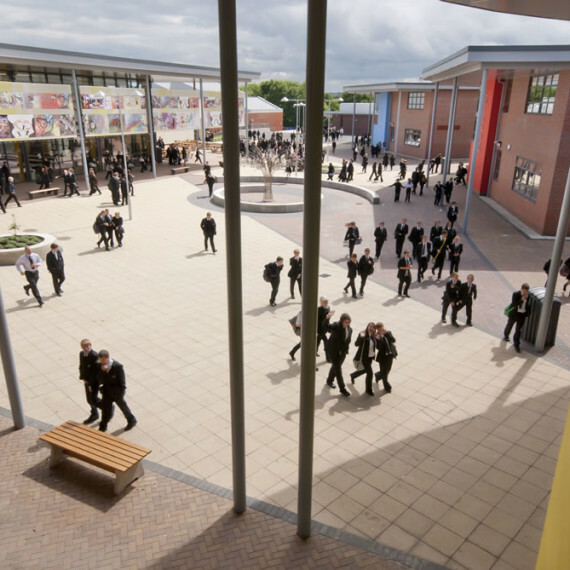 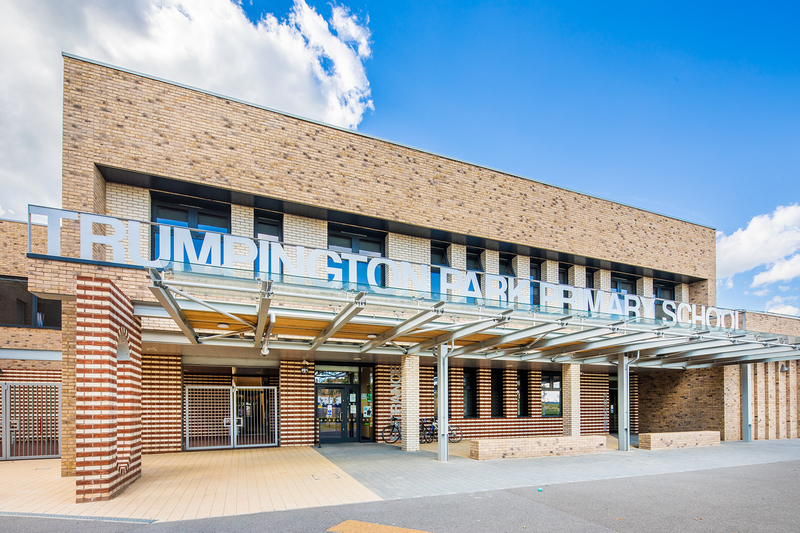 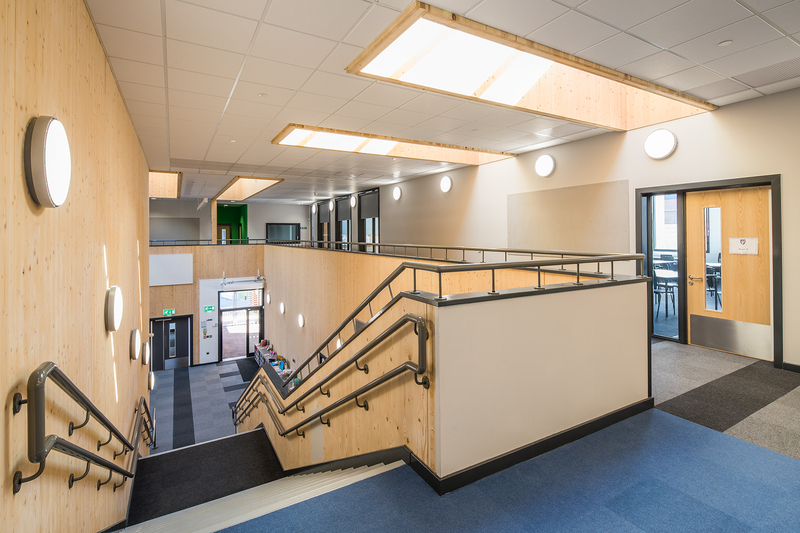 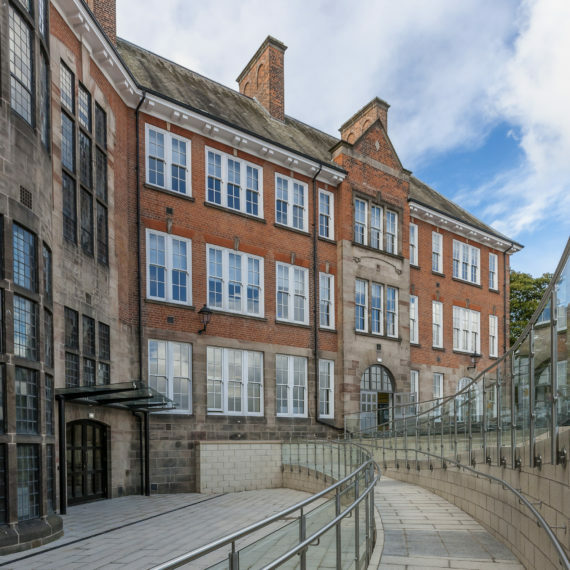 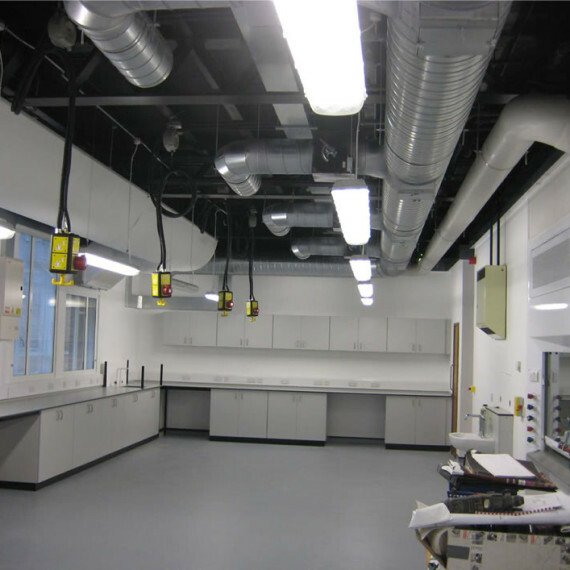 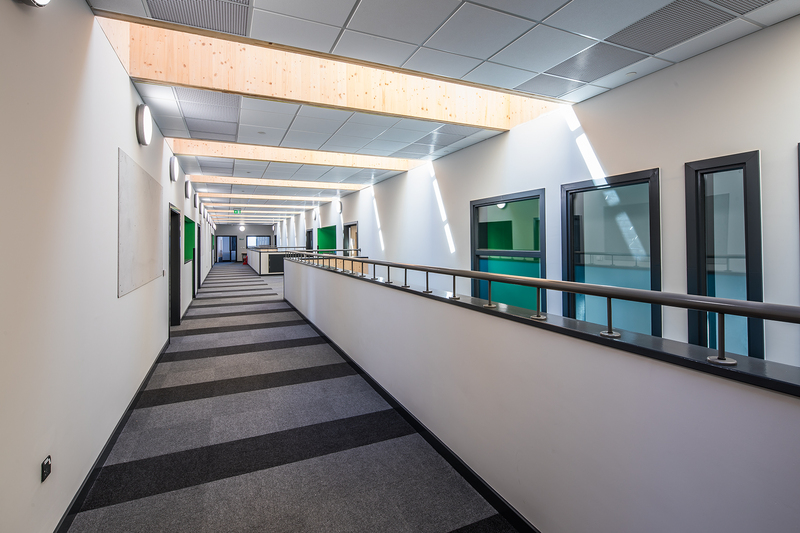 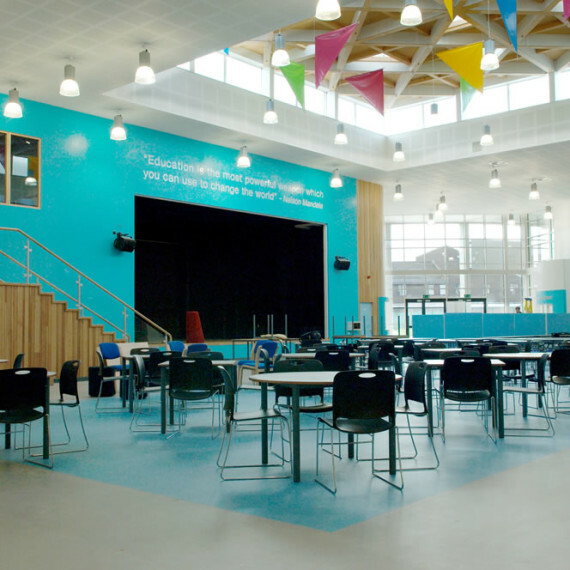 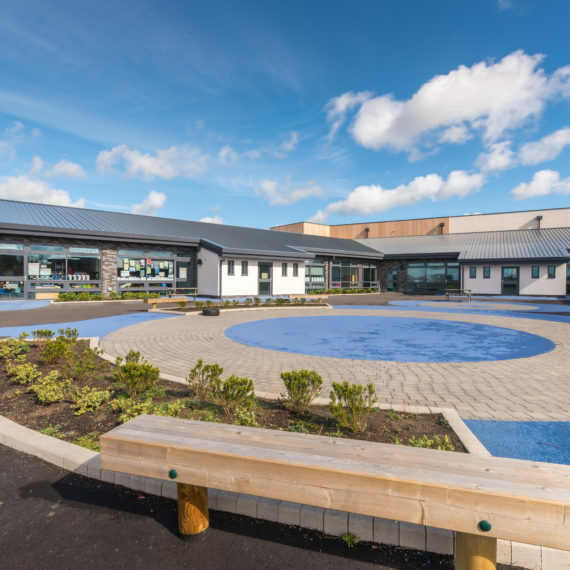 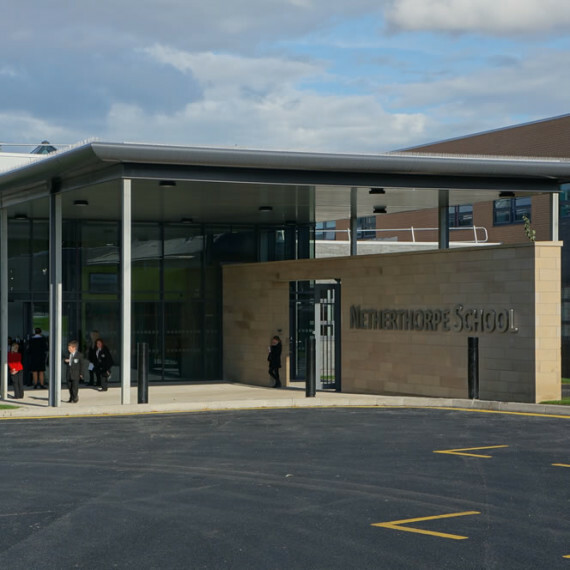 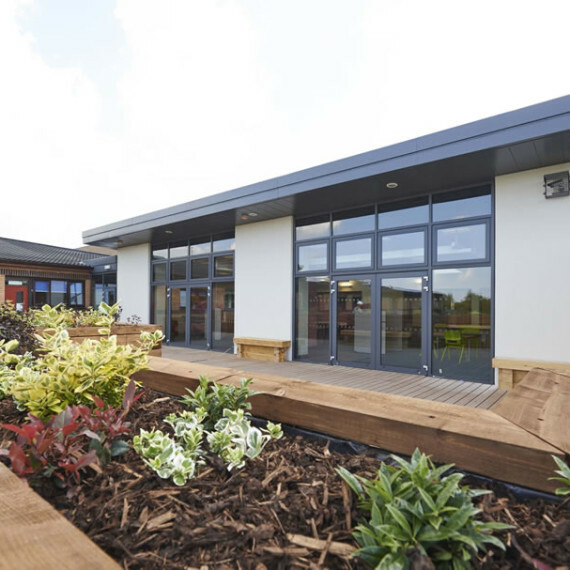 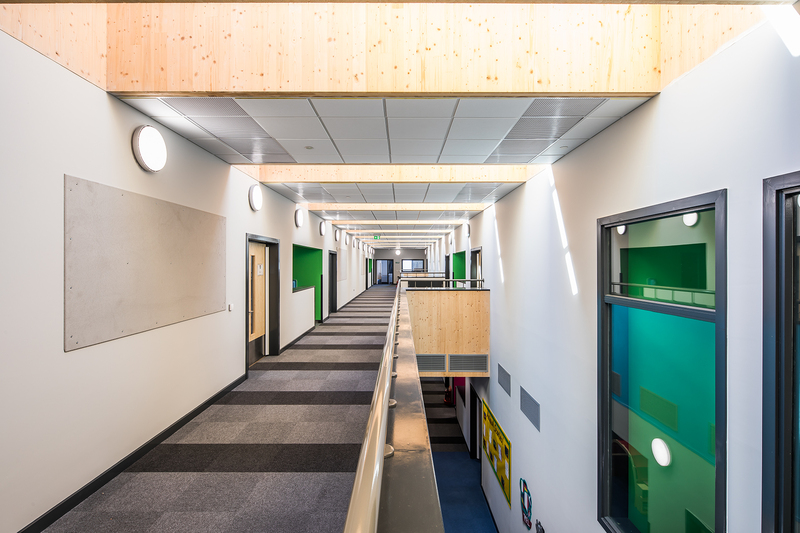 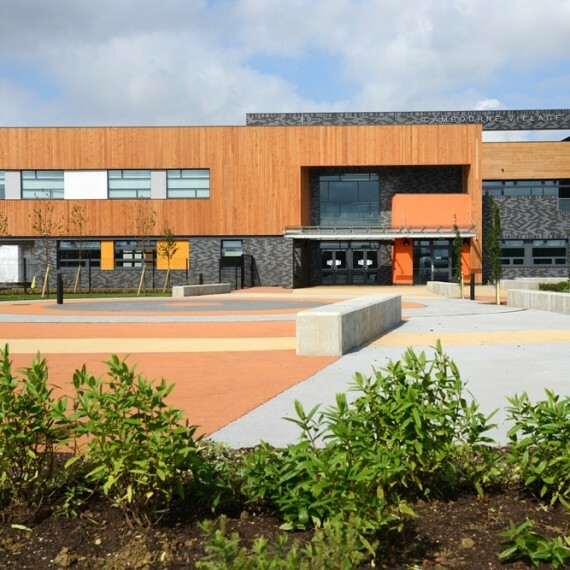 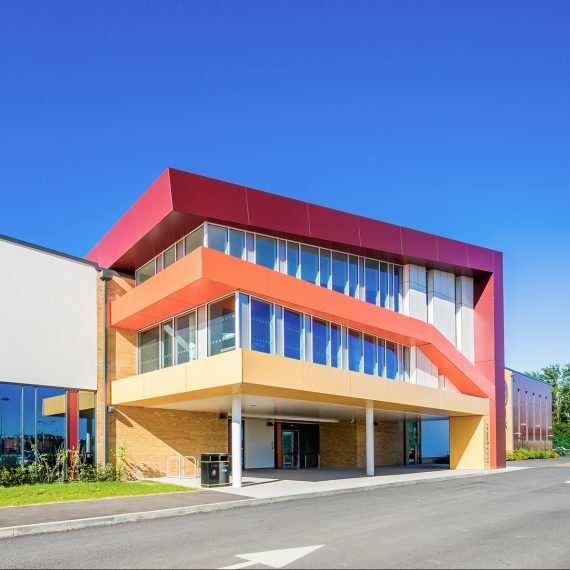 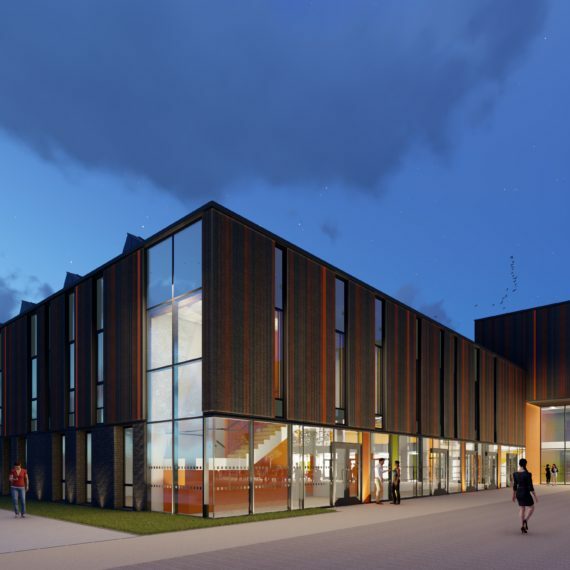 “The internal and external spaces are equally impressive…….. all of it combines to make, what we think is, an exceptional and exciting school and one that we are proud to have been associated with.” – Alison Revell, Education Capital Projects Manager, Cambridgeshire County Council. 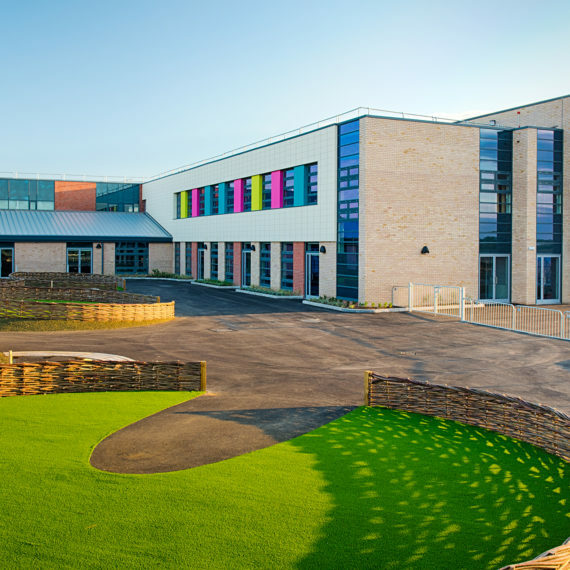 Cambridge Primary Education Trust and Cambridgeshire County Council.